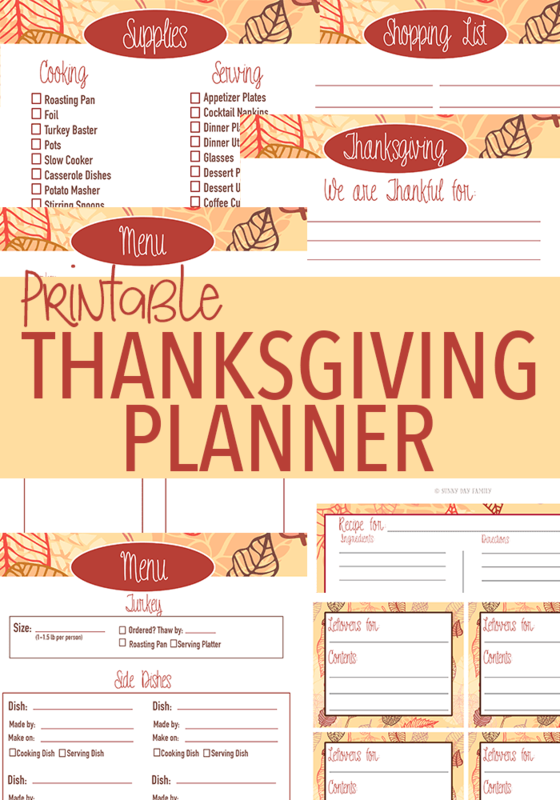 Use our Thanksgiving Planner to get organized and enjoy a low stress holiday! Having hosted Thanksgiving for 15-20 people every year for over 10 years, I've learned a few things about how to make the holiday a success without losing my mind. Of course, there were a few tough Thanksgiving dinners in our house - the one where I had 4 month old twins comes to mind - but all in all I've discovered one thing is key. Getting organized. I learned this from my mom, who probably learned it from her mom too - make a list, have a plan, and remember to defrost the turkey. Whether you're hosting Thanksgiving dinner for 5 or 25, you need to get organized now. A little time spent making a plan will help you actually enjoy the holiday with your family. 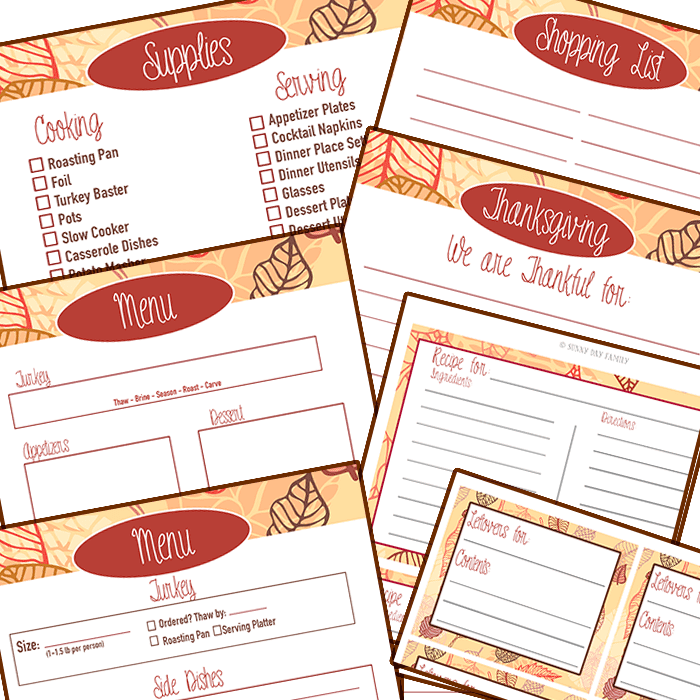 And I've put my ten-plus years of Thanksgiving experience together in one amazing printable package for you: my Printable Thanksgiving Planner. "We are Thankful" Gratitude List to help you get into the Thanksgiving Spirit. You can get it all now for just $3.99 and since it is undated, you can use it year after year. What a small price for such a great weight off your shoulders!